Nevis – Is An Hour Enough? I had a few hours free in St Kitts and decided to hop on the Sea Hustler to Nevis. The schedule was not ideal for a visit, with one of the ferries in for repairs. I would have an hour on the ground, arriving at 4 pm just when the Alexander Hamilton Birthplace would close as well as the other, minor sites. 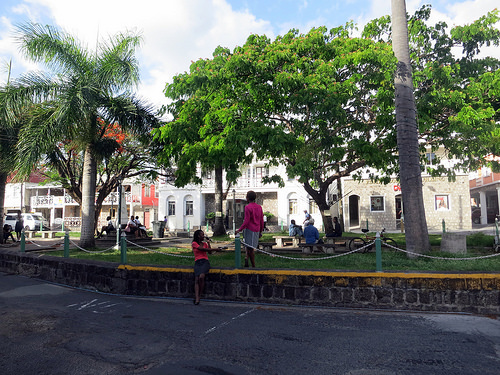 I had a fast walk around pleasant Charlestown, the Bath Hotel & Spring House, with claims to be the oldest hotel in the Caribbean, now a government office, and the Horatio Nelson Museum up the road, also closed for the day. I swung back through past Gallows Bay and just caught the last ferry of the day.